CRAWFORD CO., Pa. – The Pennsylvania Department of Transportation (PennDOT) on Tuesday announced it will be activating a new type of left turn signal at several intersections along Route 6 in the City of Meadville, Crawford County. Flashing Yellow Arrow signals, which have been proven to improve left-turn safety, will be placed at the intersections of Route 6 and Route 322 (Linden Street), Mercer Street/Willow Street, Mead Avenue/Arch Street, and Reynolds Avenue/Bessemer Street. A flashing yellow will also be installed at the intersection of Route 322 and Park Avenue (Route 1001). New intersection traffic signals will be installed at each of the intersections starting this week. The signals, including the flashing yellow, are tentatively scheduled to be turned on November 13 to 15, 2018, weather permitting. Flashing Yellow Arrow signals were first introduced in Pennsylvania in 2016, and have become commonplace in many states across the United States over the last 10 years. 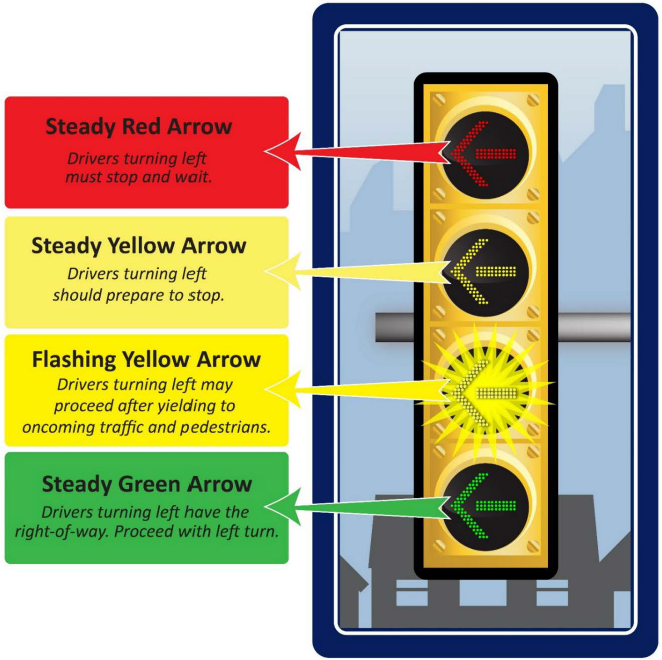 Based on many national studies and transportation agency testimonials, Flashing Yellow Arrow signals improve left-turning safety by helping motorists recognize that they should yield while making left turns when there is oncoming traffic and pedestrians. Steady green left arrow meaning the left turn is protected and oncoming traffic is to stop. Flashing yellow arrow meaning drivers must yield to oncoming traffic and pedestrians before completing the left turn. Steady yellow arrow meaning left turns should stop because the signal is about to change to red. Steady red arrow meaning left turns must stop and cannot proceed. More information on Flashing Yellow Arrow signals and other traffic signal initiatives is available at www.penndot.gov in the traffic signals section of “Travel In PA” or at www.dot.state.pa.us/Portal%20Information/Traffic%20Signal%20Portal/FYA.html.